Lost for at least 19 days in the Maine wilderness, the 66-year-old died as she had lived: with courage and with grace. The last known photograph of Largay, taken by fellow hiker Dottie Rust on the morning of July 22, 2013, at the Poplar Ridge Lean-to. ON OCTOBER 14, 2015, a forester from a private company began an inventory of trees on land used by the Navy’s remote SERE survival school in Redington Township, Maine. Starting at a point that had been randomly generated by computer, he walked a straight line, pausing periodically to count trees. At his third stop, on a narrow knoll about 100 yards inside the Navy property, he stumbled upon an old campsite: a collapsed tent, a green backpack. Not far away, he saw what looked like human remains swaddled in a sky-blue sleeping bag. The forester called his headquarters, which phoned the Navy, which alerted Maine law enforcement. The next morning, Lieutenant Kevin Adam, the search-and-rescue coordinator for the Maine Warden Service, walked into the lobby of the Comfort Inn in Wilton. It was not yet 6 a.m., and sunrise was still an hour away. Even as he checked into the motel, Adam felt cautious. 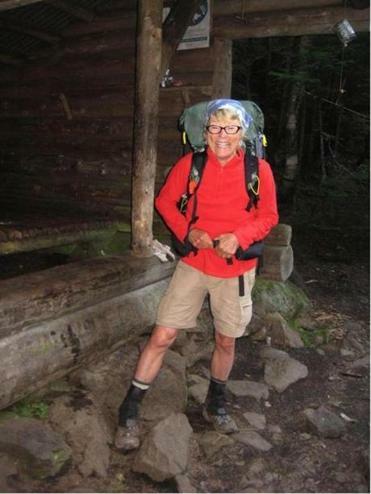 Over a 26-month search for Geraldine “Gerry” Largay, a 66-year-old hiker who disappeared from the Appalachian Trail in July 2013, he’d received hundreds of tips and dozens of supposed sightings from as far away as Minnesota. He still had sleepless nights thinking over the case. But the forester had taken photos of Largay’s tent and sleeping bag. Adam’s search seemed over. By midmorning, Adam and the forester joined some 10 wardens, along with members of the State Police Evidence Response Team, agents from the Naval Criminal Investigative Service, representatives from the office of Maine’s chief medical examiner, and the film crew of North Woods Law, a reality television series about the Warden Service. They assembled on a gravel road inside the Navy’s expansive property and then they began to hike. Their pace was slow and the forest was dense. No one said much. When they arrived at the knoll about two hours later, it was exactly as the forester had described. They found Largay’s body in her sleeping bag and her driver’s license neatly tucked into a zip-lock bag. There were signs she’d tried hard to be rescued: Several trees bore scorch marks from fires; shiny strips of a Mylar emergency blanket hung from downed branches. Seeing them was painful for the wardens. “We all wanted to see Gerry come home,” warden Kris MacCabe told the film crew, his voice cracking. GERRY LARGAY LIVED TO SERVE OTHERS. After retiring from a nursing career, she dedicated herself to her family and church in Brentwood, Tennessee. She kept a close group of friends and never forgot a birthday or anniversary. The little free time she had she spent in the woods, often with a guidebook on local birds or wildflowers. For years, she’d attended a hiking camp. 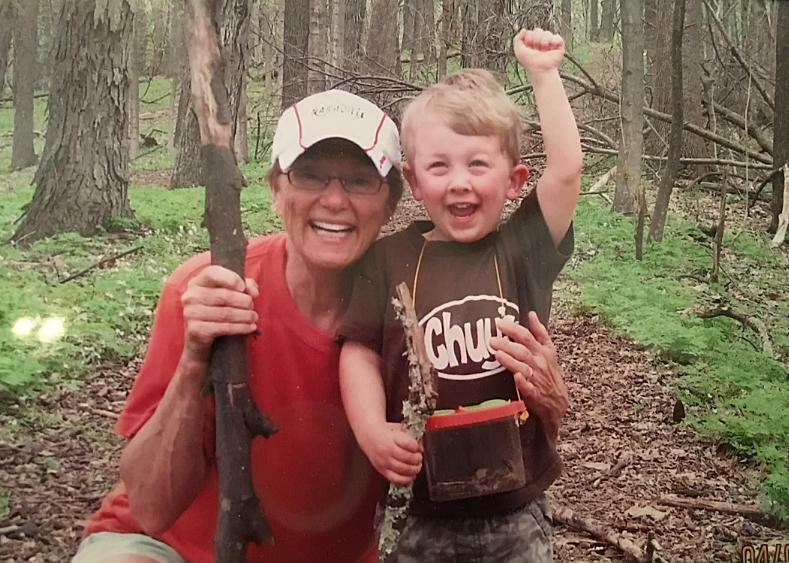 As soon as her grandson could walk, she took him out hiking. When she couldn’t get outside, she worked on elaborate quilts, including one of a backpacker making his way down a path. In time, George and Gerry perfected their routine. Gerry chose her own trail name, “Inchworm” — she knew finishing the trail was going to take awhile. She and her longtime hiking partner, Jane Lee, decided they’d do the trail together. They set out on April 23, 2013, heading north from Harpers Ferry, West Virginia. Their plan was to do what backpackers call a flip-flop hike: Start in the middle of the AT and get to Mount Katahdin in Maine, then drive back to Harpers Ferry and hike south to Springer Mountain in Georgia. Spring 2013 was a wet one in the mid-Atlantic, where entire sections of the trail overflowed with water. Largay was impervious. She kept logs of the flora she saw along the way. “Fabulous Fern Day!” she wrote one day. On another: “Squirrel corn, bluets, spring beauties, Jack in the Pulpits, abundant May apples. Plenty others, and me without my book!” When she and Jane passed a small zoo closed in the early morning, Gerry found a way to sneak in. The bears were still sleeping. The coyotes and foxes looked like they thought she should be serving them breakfast. At the end of June, just after the hiking partners crossed into New Hampshire, a family emergency forced Jane to return home. Gerry reworked her plans and kept going through the White Mountains. Sections of the trails were too remote for George to meet her, so instead she spent nights in huts or lean-tos maintained by the Appalachian Mountain Club. The weather was miserable. On a day she had planned to summit seven peaks, rain and fog forced her to hunker down inside. 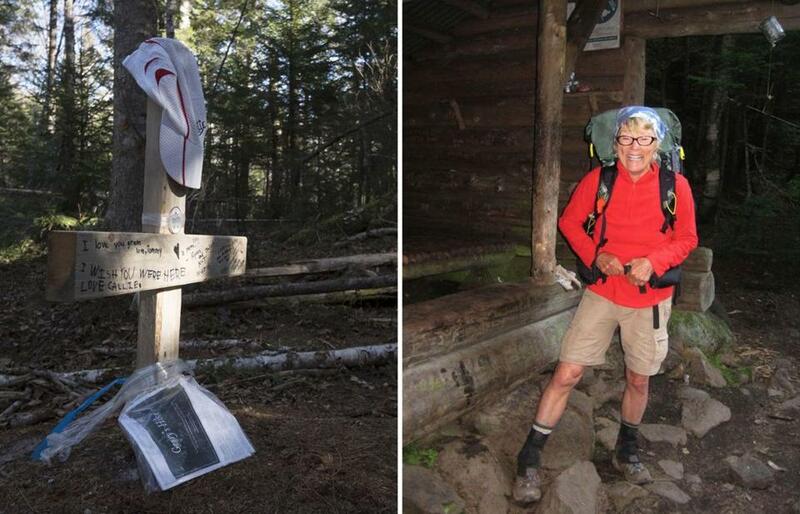 She practiced her French with a family from Canada, and she befriended other thru-hikers. Everybody remembered her. Inchworm talked to everyone. Even the reticent ended up telling her their life stories. By mid-July, Gerry had completed more than 900 miles of the trail, including some of the most difficult and dangerous sections. Katahdin was just over 200 miles away. She was planning to get extra gear for that stretch — in particular, Maine’s notorious 100 Mile Wilderness — but first she had to trek through a 22-mile section of mountainous terrain, and she had brought a tent in case she needed it. Her plan was to spend the night of July 21, a Sunday, at the Poplar Ridge Lean-to. Then she’d hike about 9 miles to the one on Spaulding Mountain. Tuesday, after another 13 miles, she’d pop out onto Route 27, where George would be waiting. Before saying goodbye, Inchworm sent a quick text to George that she was about to leave the shelter, then turned off her phone and tucked it into her pack. It was just past 7 a.m.
As soon as Gerry’s grandson could walk, she took him out hiking. OF ALL THE LAWS IN BACKPACKING, “Leave no trace” is the most binding. Take your trash with you. Purists avoid pitching a tent. Don’t light a fire, because it leaves too much of a scar. But “Leave no trace” can get complicated when taking care of bodily functions. The Appalachian Trail Conservancy, which oversees the AT, offers two options on the matter: Dig a hole at least 200 feet off the trail and bury your feces and toilet paper, or be prepared to pack the toilet paper out in a sealed plastic bag. Most hikers choose option one. When Jane and Gerry were hiking together, they’d sometimes take turns relieving themselves. One person would stand guard while the other walked far off the trail to find an out-of-sight tree to duck behind. You don’t want to be seen, especially if you’re a woman. So you tend to go farther away. The morning of July 22, Largay did what she was supposed to do: She stepped off the trail at least 80 paces. It was the first of a number of tiny decisions that each made perfect sense in isolation. But the sum of them would result in catastrophe. Largay had walked onto land owned by the state of Maine that had been logged 12 years prior. Today, foresters often truck out a lot of the discarded trees and brush, but back then they didn’t. In the decade since, the area had grown into an unusually thick tangle. Gerry stood up in the dense underbrush and donned her pack. She looked around. She took a few steps in what she believed was the direction back to the trail. It didn’t feel quite right. Around 11 a.m., she pulled out her phone and typed a quick text to George: “In somm trouble. Got off trail to go to br. Now lost. Can u call AMC to c if a trail maintainer can help me. Somewhere north of woods road. Xox.” She pressed send. She waited. The text came back: “Message receipt failed.” She tried again. No signal. So she decided to climb higher looking for one. Walking was a slog, especially with all those downed trees. She passed a stream. She went up a couple of ridges. Late that Monday afternoon, she pitched her tent. It was a crummy site, but the best she could hope for that day. Tuesday, it poured. At 4:18 in the afternoon, she tried texting George again. “Lost since yesterday. Off trail 3 or 4 miles. Call police for what to do pls. Xox.” No reception. GEORGE WAITED FOR GERRY in the trailhead parking area off Route 27 all day Tuesday. She didn’t arrive. At first, he wasn’t alarmed, thinking the downpour had delayed her. He periodically checked his phone for any messages. That night, he slept in his SUV in the parking area. On Wednesday, George was worried enough to flag down a police cruiser. The officer called the Warden Service. In rained-out conditions, it’s pretty common for hikers to show up a couple of days late. But just in case Inchworm didn’t, the wardens began to strategize. They briefed a volunteer search-and-rescue organization that planned to cover Gerry’s intended route from Poplar Ridge to the trailhead parking area. They called up a pilot, who was en route within hours. Meanwhile, Border Patrol began putting up signs notifying people about a missing hiker. An alert went out on social media. Local news outlets picked up the story. THE SUN FINALLY CAME OUT Wednesday afternoon. Gerry hiked back to the stream she had passed the day before — she knew she’d need a source of clean water. She moved her tent, choosing a spot on the knoll with the thinnest canopy so she would be visible from above. At her new campsite, she broke branches and arranged them around a hummock to build a dry platform for her tent and hung up her gear to dry. She cut up pieces of her silver Mylar emergency blanket and hung them in places where the sun came through the trees. She figured the reflection might help a pilot see her campsite. Gerry considered how best to ration her food — she’d only carried enough for the three days. For a tiny dinner that evening, she ate just a few almonds and Fritos along with a prune or two. And then she began to say the full rosary. KEVIN ADAM, A 23-YEAR VETERAN of the Warden Service, likens search and rescue work to assembling mixed-up jigsaw puzzles. You have a pile of pieces. Some of them fit. Most of them don’t. When you’re lucky, you get just the right pieces and put them in just the right order. You find your missing person. But that’s hard to do on the Appalachian Trail: Hikers are constantly moving and adopting trail names that they change along the way. They lose track of days and miles. They can be lousy witnesses. Searchers in less remote places can sometimes use cellphone towers to help find missing people, but there weren’t enough towers here to help triangulate Gerry’s location. By Saturday, four days into the search, owners of hostels in the area were calling every hiker on their registries. Dottie Rust returned to her home in Maryland that evening to catch one such call. Had she seen Inchworm? Rust called the authorities and told them about the night she’d spent with Gerry at the Poplar Ridge Lean-to. Inchworm seemed fit and alert. She offered to send the photo she snapped Monday morning of Gerry in her red fleece. It was the first definitive proof Inchworm had made it to Poplar. The wardens now had what they call a Place Last Seen. But where had Gerry gone from there? Adam and his mobile command center set up at the Sugarloaf ski resort. Potential clues continued piling up from more than 100 trained searchers. One found a drop of blood on a rock near the trail, another a piece of gauze containing a single human hair. Neither would prove to be Gerry’s. Nor were the cotton fibers or water bottles or wrappers. Over time, psychics contacted Adam: Gerry was in a cave. Or maybe by a tower. She was attacked by a bear. Abducted by Bigfoot. The owner of a nearby inn reached out: A hiker had called and wanted to leave a message. Something about having spent the night at the Spaulding Lean-to. The message, Adam and his team would much later realize, must have gotten garbled: I spent the night at the Spaulding Lean-to with Inchworm, the missing hiker. Tell her husband she’s going to be late. Gerry Largay with her son (far left) and daughter (middle), their spouses, and her husband, George (far right). George and Gerry’s grown children arrived within days of their mother going missing, followed by relatives and friends of the family. George spoke with any hikers they could find. The family looked at every item brought in from the trail. None of it could be linked to Gerry. More puzzle pieces came in. Wardens found three young hikers who remembered seeing an older woman with glasses just a few miles from the Spaulding Mountain Lean-to, which would have put her farther along the trail than searchers had originally believed. It definitely could have been Inchworm. Did they have a conversation with her? No, the boys said, she was really quiet. Adam called together his team and pointed to a map that had been divided into a grid. “OK,” he said, “let’s look at the stats. Let’s look at the terrain. Where do you think she is?” He didn’t want one person making decisions about how resources should be allocated. They all agreed: If Gerry had made it as far as Spaulding Mountain, as the information from both the phone call and the boys had suggested, she must be somewhere between there and Sugarloaf. As smaller groups continued to run searches around the Place Last Seen, the wardens shifted the focus of their efforts about 10 miles north, to the area around Mount Abraham and Spaulding. Adam felt optimistic. But as the days progressed, his confidence waned. No matter how hard they searched, there was no evidence Gerry was in the area, let alone alive. He called in off-duty wardens and authorized more overtime budget. K9 teams went out, though the underbrush was so thick the dogs’ handlers sometimes had to carry them. Some searchers rode horses. Rescue teams arrived from throughout the state. The wardens’ planes kept flying. GERRY HEARD THE AIRCRAFT. She waved her red fleece. She prayed the luminous mysteries of the rosary for protection of the pilots. On July 28, six days after stepping off the trail, she ate her last remaining food. She heard a search plane for about an hour the next day. This one sounded farther away. She considered moving her camp to another site, yet decided it would be just as hopeless. As the days wore on, Gerry practiced walking points with her compass. She read and reread a paperback novel she’d brought along. She took strands of dental floss and tried to practice sewing intricate French knots. She wrote in her journal. On the morning of July 30, Gerry heard a plane searching the area again, then a helicopter that afternoon. She waved her shirt as frantically as she could. No one could see her. Still, Gerry could feel George was thinking about her. As long as he was searching for her, she would bear this for as long as she could. ON THE FIRST OF AUGUST, wardens launched their plane to check a tip near Sugarloaf. They made one more big ground search a few days after that. Thirty officers. All the private teams Kevin Adam could muster. They whistled. They called Gerry’s name. They heard nothing. They found nothing. In the 12 days they’d been searching, they had gathered only one solid clue: the photo Dottie Rust took the day Largay went missing. On August 6, Adam packed up the mobile command center and made the long drive back to regional headquarters in Greenville. The investigation would continue, but the wardens wouldn’t fly over the area again until November, after leaves had fallen. ON AUGUST 6, GERRY POWERED ON HER PHONE and tried texting again. Still no service. She’d been lost for two weeks and had been out of food for nine days. She lit a fire near two trees to signal that she was alive, scorching their trunks. She’d kept a fire going for two hours the day before. Today, she tried to make a smokier one. No one came. She put the fire out. The next morning, she walked down to the stream and washed out her favorite shirt. It had been a gift from George when they had visited Gettysburg — pink. A big hit. She was wearing it as her nightshirt at the campsite. It made her think of him. ON AUGUST 8, KEVIN ADAM TRACKED DOWN a witness who would change the focus of the search again: a hiker who went by the trail name “Ivanich.” She had stayed at the Poplar Ridge Lean-to the same night as Gerry and left after her the next morning. Since she was a faster hiker, she should have passed Gerry before noon that day. She didn’t. That finally confirmed Gerry never made it to the Spaulding shelter. The garbled phone message had wrong information. The boys had confused Ivanich, a quiet woman, for Inchworm: glasses, sandy-blond hair. More innocent mistakes. Sixteen days had passed since Gerry was last seen, but with confirmation about the mistaken identity, the wardens shifted the search back toward Poplar Ridge. They continued making calls, interviewing potential witnesses. A year would go by, and then another. The wardens kept at it. When someone phoned to say they saw the spitting image of Gerry serving ice cream in New Hampshire, they made sure it wasn’t her. Ditto for a woman getting her nails done in Minneapolis. In July 2014, Adam thought he had a lead when a man in Chicago activated her phone account, but it turned out just to be a case of identity fraud. In October 2015, Adam heard about the forester’s discovery on the Navy property. After hiking out of the Maine woods with Gerry’s remains on October 15, Adam phoned the Largay family. It was George’s 72d birthday. Gerry’s body had been found about 2,300 feet as the crow flies from a well-worn path known as Railroad Road, which intersects the Appalachian Trail and eventually becomes a public road. That, says Gerry’s daughter, Kerry, was one of the hardest things for her to accept: that her mom didn’t know how close she was to help. Gerry had written in her journal every day until August 10. A final entry is dated August 18, leading some to speculate she survived close to a month, but both Adam and the Largay family think that last date is probably incorrect. 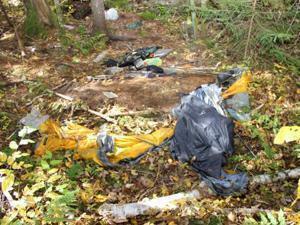 A Maine State Police photograph of Largay’s final campsite and collapsed tent, discovered by a forester in October 2015. 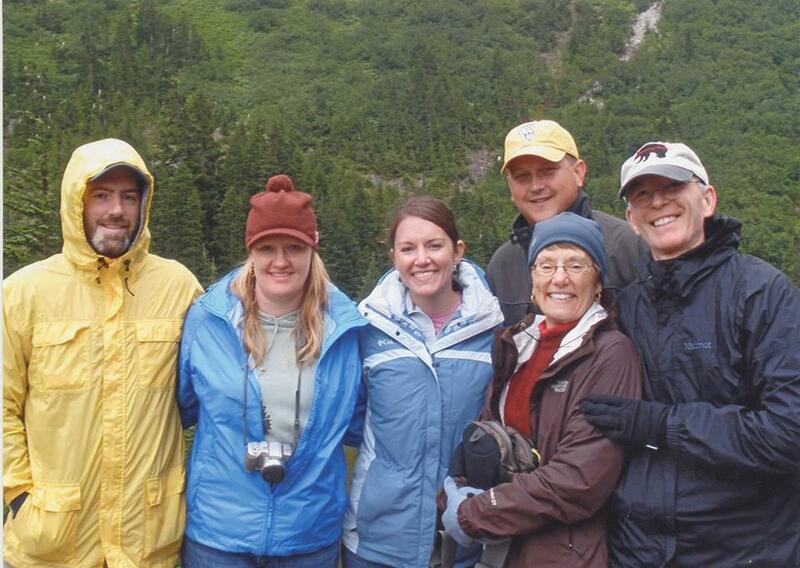 About 10 days after the call from Adam, the Largay family traveled to Maine to collect Gerry’s remains. They also made the difficult hike into her campsite, carrying a small cross her son-in-law had the idea to erect where her tent had been. It had messages from all of her grandchildren. Someday, Kerry says, she’ll take them there herself, so they can see just how strong their grandmother really was. EVEN IN HER FINAL DAYS, Gerry Largay worried about what might hurt or inconvenience her family. At her campsite, she had chopped up her credit card and buried the pieces so that no one could exploit it. She kept her driver’s license so that it would be easy to identify her. She neatly stacked her pots and pans and sealed the journal she’d been keeping in a waterproof bag, along with the instructions, George please read. XOXO. She folded her glasses and placed them into a storage pocket on her tent. Then she tucked herself into her sleeping bag for the last time. In her journal, Gerry wrote that she wanted her family to know she was sorry — that no hike was more important than them. She wrote each of them a long letter, putting into words her gratitude for all they had shared and offering thoughts about how they could move forward. My deepest love to you, Gerry wrote in one of the last of them. And to all my friends. I pray to see you all in heaven. ■ How could a woman just vanish? Kathryn Miles, a writer based in Portland, Maine, is the author of “Superstorm: Nine Days Inside Hurricane Sandy” and other books. She chronicled the search for Gerry Largay in a December 2014 Globe Magazine story, now at bostonglobe.com/magazine. Send comments to magazine@globe.com.